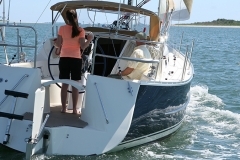 Inspired by the vast water geography of Florida, our Seaward 32RK is the perfect performance/cruiser combination. 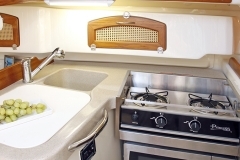 Generous in space and thoughtful in design our 32RK offers unique teak wood and stainless finishings and accents. 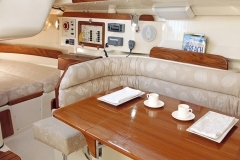 Her cabin is comfortable and bright with eight opening ports and two deck hatches, allowing sufficient natural light to shine in. 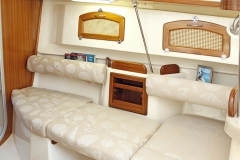 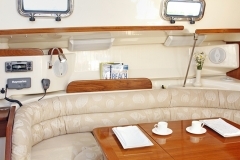 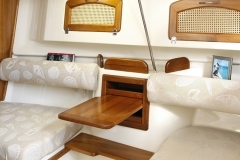 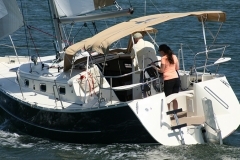 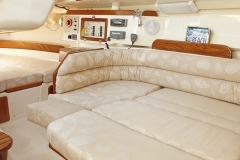 With capacity to sleep four comfortably, she is well appointed for a long journey or a day on the beach. 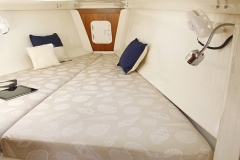 From cooking to showering, and eating to relaxing, we understand your needs in each calculated design. 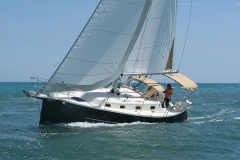 Never before has a sailboat performed with such distinction yet been so easy to trailer. 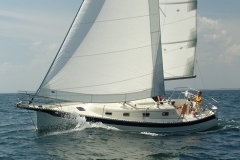 Her keel not only enhances performance but affords flexibility and ease. 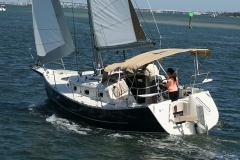 With a draft range between 20” and 6’6” she rides close to the wind in deep waters and provides the flexibility and safety to sail in shallow conditions. 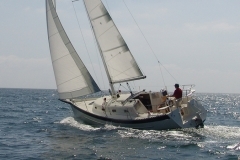 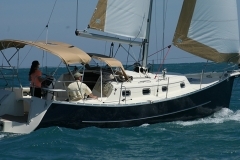 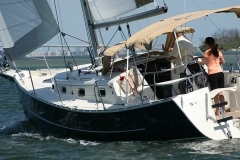 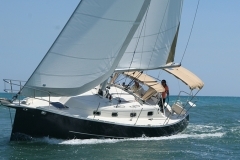 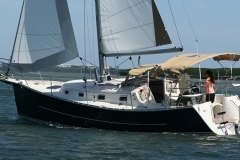 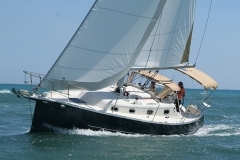 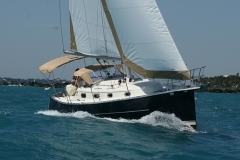 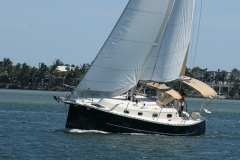 Come aboard the 32RK and let’s talk about how to realize your dream of owning a quality sailboat that will take you where you want to sail without boundaries.